After twenty years in the US Army Roy Sands has left the service and travelled from Germany back to San Francisco to be with his fiancée. He then vanishes before he meets her. Worried for his safety and the lack of interest by the police she hires a private detective. His first task is to track down the missing man's three Army buddies who shared the same flight home. He discovers that Sands sent them each a telegram from Oregan, but after that the trail goes cold. The detective starts to hunt for new clues, though he senses he’s on a wild goose chase until his apartment is robbed and he and the fiancée receive threats. Neither though are the kind that simply give up. 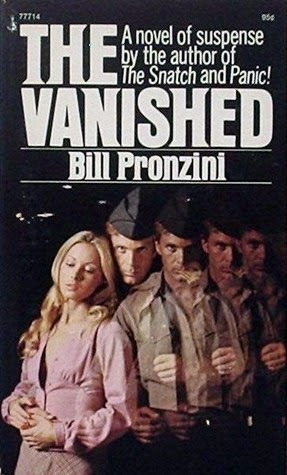 The Vanished is the second book in Pronzini’s nameless detective series, told through a first person perspective. The story has a nice cadence and expressive prose and is tightly written and honed, with little in the way of digressions or feints or blinds beyond keeping a few possible explanations in play as to why a man has disappeared; it simply tells the story of how the case unfolded. The plot is relatively straightforward, but is engaging and entertaining, with a strong hook. The key element, however, is the nameless detective. Whilst he has a reflective, philosophical, empathetic side, he’s also pragmatic, dogged, and can look after himself in a squeeze; he also lacks the brashness and edginess of many fictional PIs. I found him an appealing character to spend some time with, along with the nice mix of characters Pronzini populates the book, including Roy Sands who is ever-present despite being absent. Overall, a nicely told hardboiled PI tale that has aged well. Couldn't agree more. I know many people like the mid-series and later Nameles books more, but I enjoy the early ones a lot and yes, they do hold up very well. Good writing does that. 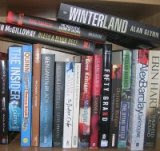 I have a few more on my bookshelves. They're a few books on from this, but I plan to read at some point. I've always enjoyed his short stories. This plot sounds terrific, I will seek it out this week. Thanks for the interesting review Rob.